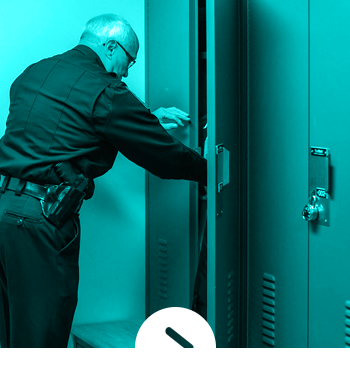 We work alongside law enforcement personnel to design and manufacture the most efficient, secure, and innovative public safety products available. 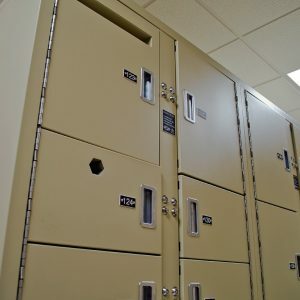 From evidence storage that protects the chain of custody, to personal storage lockers, to secure weapons storage, Spacesaver products are designed with safety and effectiveness in mind. 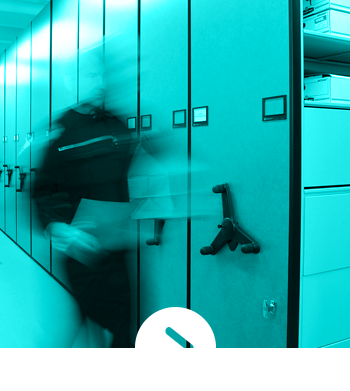 Lost keys, cumbersome deposit processes, lack of space – it all adds up to a less secure chain of custody. 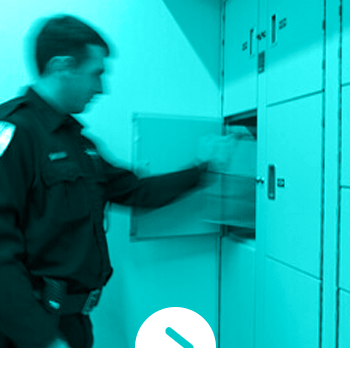 Spacesaver evidence lockers allow officers to deposit evidence anytime, without the need for keys or combinations. 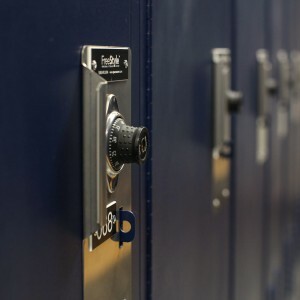 Just bag the item, select an empty locker, place the item inside, and the evidence is secure until retrieved by the proper personnel. 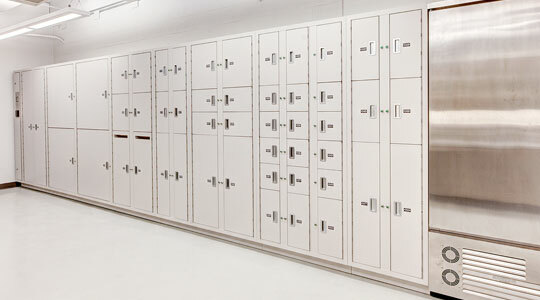 From pass-thru lockers, to built-in refrigeration, to a variety of shapes and sizes, we offer solutions to fit the needs of each department. 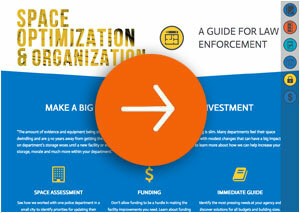 It’s a fact of life in law enforcement: evidence accumulates over time, and it can seem like there’s never enough space to put it. 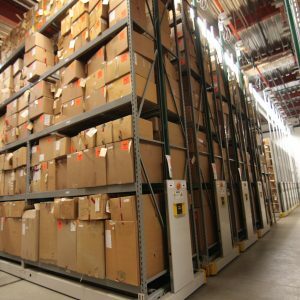 Whether you’re storing boxes, weapons, narcotics, or even large bulky items like TVs and car bumpers, we have a solution to help you get the greatest possible capacity out of your space. 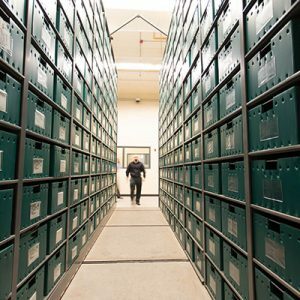 Our evidence storage specialists will help you choose the perfect long-term evidence storage solution, from easy-install suspended compact storage to heavy duty mobile storage for bulky items. 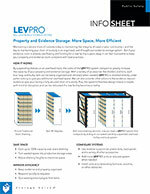 If your law enforcement facility has outgrown its property and evidence room but there’s no remodel coming soon, LEVPRO suspended compact storage can help. 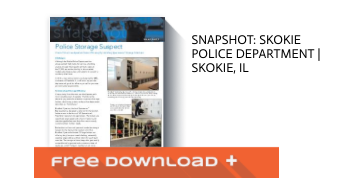 This cost-effective storage solution makes use of wasted space by compacting shelves on an overhead track, allowing officers and staff to maintain an orderly inventory system and respond quickly to requests. 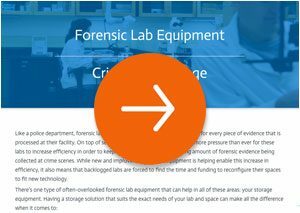 LEVPRO installs with minimal disruption and without a major construction project, while still effectively organizing your evidence. 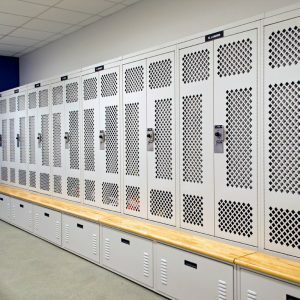 Public safety personnel often face a strenuous work environment, but comfortable locker rooms can create a “home away from home.” Spacesaver personal storage lockers are infinitely configurable and customizable to accommodate each employee’s individual storage needs. 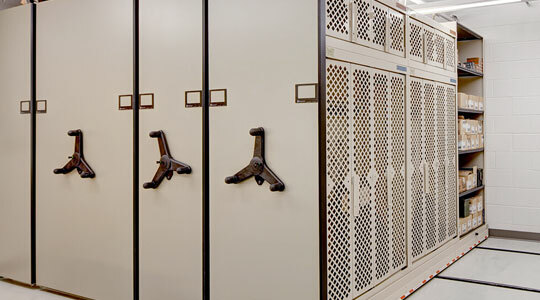 Each personal storage locker offers a wide range of options to securely store equipment, uniforms, weapons, electronics, and separately locked sections for personal items. 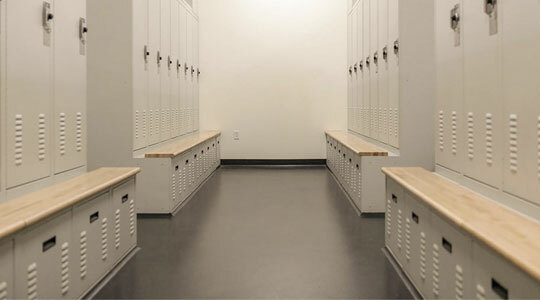 Choose from additions such as benches, air ventilation, and charging stations for a secure and functional locker room space. 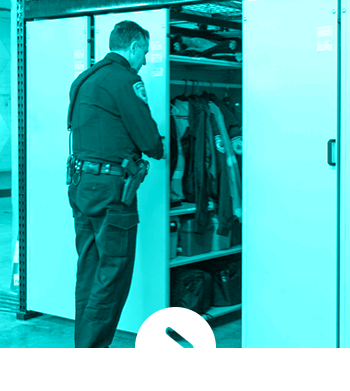 When it comes to weapons storage, optimum security and quick access are top priorities. 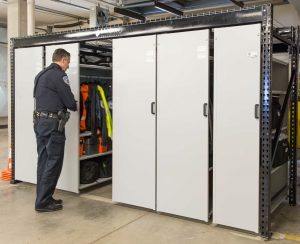 Whether it’s sally port lockers for incoming officers or weapons lockers designed to accommodate a combination of handguns, shotguns, and rifles, Spacesaver offers a weapons storage solution that will keep guns safe and officers prepared. 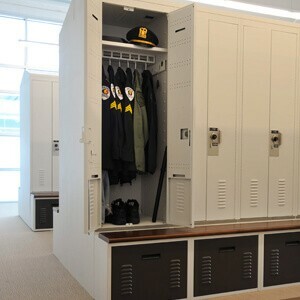 Additional high density weapons storage can be configured for armories and long-term evidence storage. 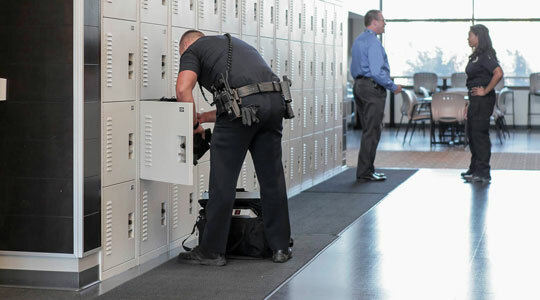 When officers and public safety personnel must move quickly, the last thing they need is to be held up by disorganized or misplaced gear. 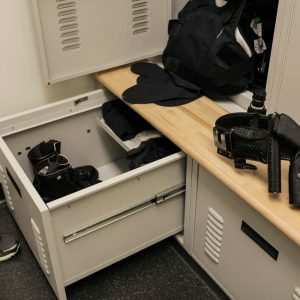 Gear lockers and duty bag storage are the perfect heavy-duty solutions for bulky bags, boots, electronics, and tactical vests. 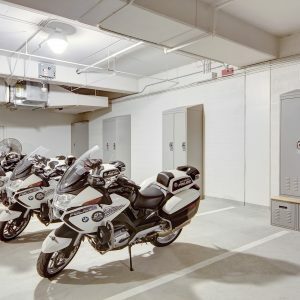 With perforated doors for ventilation and added visibility, you can ensure your tactical gear is secure and ready when officers and first responders need it most. 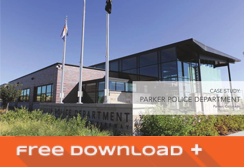 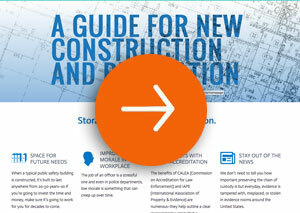 From evidence documents to police records to warrants and more, police departments are required to hold onto a huge amount of paper – sometimes for decades – which can create a significant storage challenge. 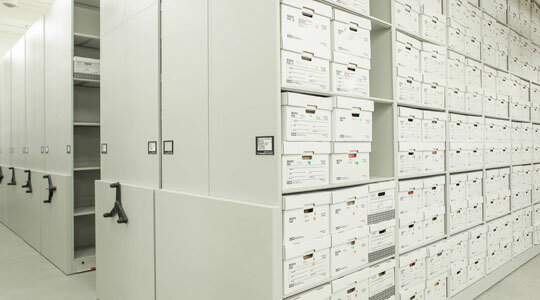 Mobile records and file storage increase your file storage capacity without sacrificing additional space. 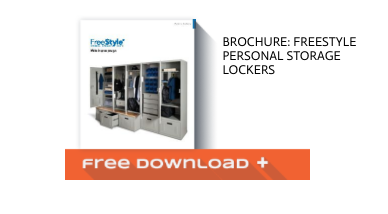 A variety of features allow you to restrict and track aisle access for maximum records security while keeping every item organized and accounted for – no matter the scale of your filing needs. 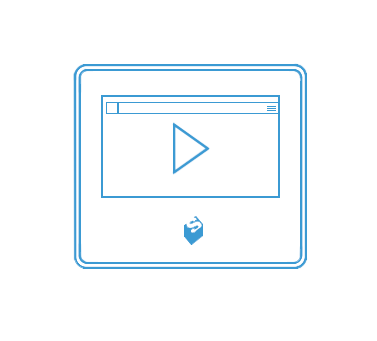 Touch Technology Control provides an additional layer of security and usability to your storage system. 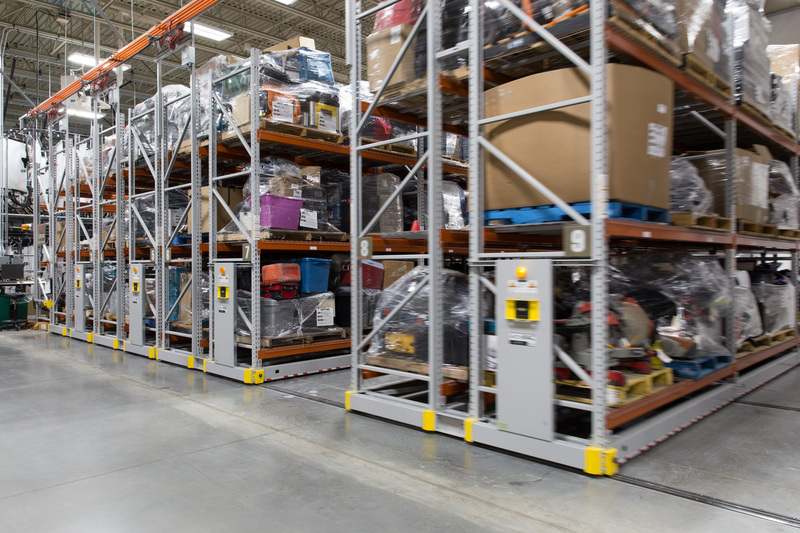 The intuitive LCD touchscreen not only controls the movement of the system, but can be used to restrict and track aisle access in evidence storage, records, and more.